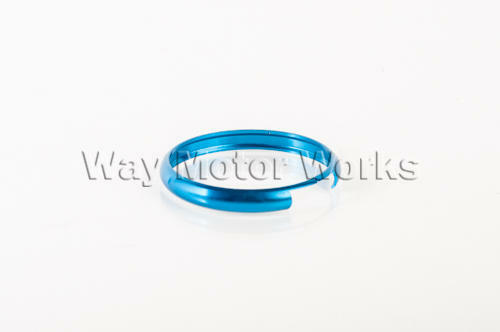 Key Fob Colored Trim Ring for all R55 R56 R57 R58 R59 R60 R61 Keys or sometimes called the puck. As these keys get used more and more and rub around in your pocket the chrome will flake off the trim ring on the key. So we have these colored aluminum key trim rings. These will add the ultimate in style to your key fob. These colored key rings are great for his and hers keys. Or if you have different car memory settings, and radio stations these colored rings make it easy to identify which key belongs to whom.